This is a "twin" to the Short Grammar of Lithuanian available from Slavica. For the first time, we have modern structural reference grammars of both modern Baltic languages written according to the same scheme, so comparisons between the two languages are easy. 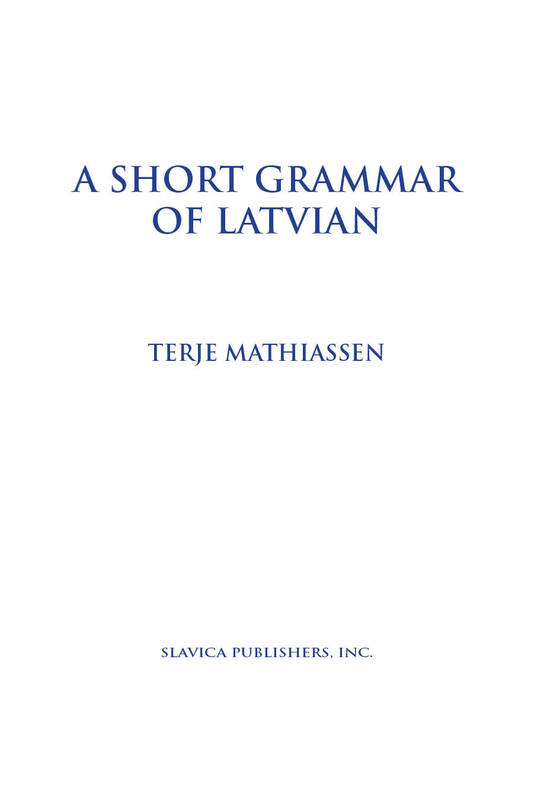 A Short Grammar of Latvian contains all of the basic grammar of Latvian: phonology, morphology, syntax, with material on word formation. There is a long chapter devoted to the verb's forms, categories, and use. Although the presentation is a synchronic one, diachronic remarks are included where appropriate and helpful. The book has a comprehensive table of contents at the beginning, a detailed index at the end, and a substantial bibliography.